The paper, entitled Understanding Antisemitism: An Offering to Our Movement, is super-comprehensive, in the exact way you want it to be. It’s easy to find what you’re looking for because the document is written as a tool for individuals and organizations who want to have a more in-depth analysis of antisemitism, and who want to intervene when they encounter it. Understanding Antisemitism allows organizations and individuals to challenge effectively the idea that being on the Left exempts a person from aligning with antisemitic tropes (like “Jews control the media,” “All Jews have money,” “Jews can’t be trusted,” etc.) Emphasizing the role antisemitism plays in obstructing the goal of dismantling white supremacy can help justice organizations strategize, especially when building coalitions with other communities. Directing this tool towards people who are already involved in anti-oppression work aids in creating a common language, as well as an understanding of how Jews and non-Jews with the same goals can hold one another accountable when we flounder into the traps set by overt or internalized antisemitism. Throughout the paper, the actions of the Trump administration are mentioned in connection with how emboldened white supremacists have amplified antisemitism both before and after the 2016 Presidential campaign. 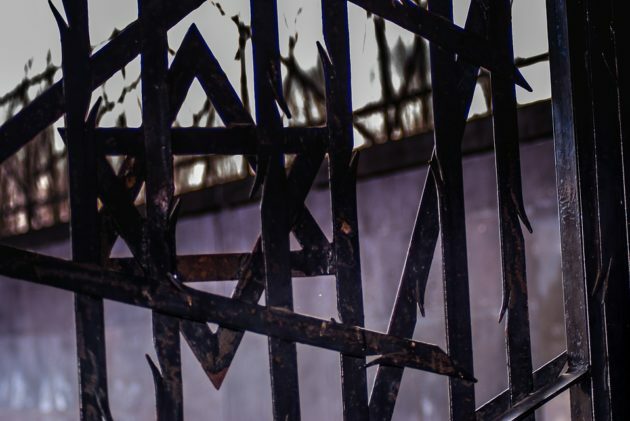 The report dives deeply into the connection between antisemitism and Islamophobia, a topic JFREJ also addresses with its programming. “It is important to note that the history of antisemitism does not dictate its future,” writes the authors of the document. Understanding Antisemitism is a teaching tool, and it takes that role seriously with the inclusion of case studies and tips. Its glossary is invaluable, since we’re often afraid to admit what we don’t know, especially when everyone around us seems to agree on what certain terms mean. On the Left, needing to learn can be seen as a moral deficiency, as opposed to an opportunity. As we want to heal what’s desperately broken, we are not always as generous with one another as we can or should be. But this is a generous document—it assumes good intentions, while also taking organizers and activists to task. If you’ve been looking for comprehensive and accessible information about antisemitism from a progressive perspective, here it is. Share it, apply your own experiences to it, use it to move forward and do better—in your organizing, your thinking, your relationships, and in helping to manifest the future we want to see. Moreover, intersectionality is actually not a concept created to exclude Jews. It was originally created to include women of color in the fight for feminist rights and grew to include people of all backgrounds in the fight for civil rights, economic justice, and environmental justice. When someone says they are intersectional, but exclude an ethnic/ religious group (such as the case you mentioned above and various women’s marches), they are no longer intersectional because they failed at being inclusive. It is 100% ok to call out these groups on their hypocrisy because they claim to be intersectional, but are far from it and push the white supremacist agenda further, defeating their own causes.